With scenery like this and a booming commercial sector it's hard to go past Lara. 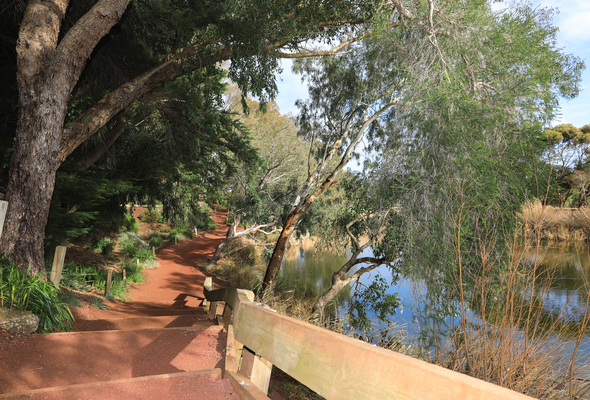 Lara is not just a town offering picturesque country life only 25 minutes’ drive from Geelong. The burgeoning town has come a long way since Hamilton Hume first discovered the area in 1824, and is now home to more than 16,000 residents. It’s also home to experienced travel agents, talented hairdressers and scores of family-owned businesses. Whether you’re going on vacation or organising a corporate trip, international or domestic, All things travel Lara is the one-stop shop for people going places. The experienced and qualified staff at the locally-owned business are keen to help aspiring travellers plan their next holiday or snare a great deal. Director Kirsty Giles has 22 years’ experience in the industry and loves passing on her extensive travel experience to customers. She has trekked the mountains of North Vietnam, walked on Franz Josef glacier in New Zealand and travelled across Australia and the World. Her most treasured travel experience was taking her WWII veteran grandfather back to Papua New Guinea. Come see her and her experienced consultants in Lara’s main shopping precinct to plan your next big adventure. Just down the road Lara Hair Studio has skilled hairdressers to pamper clients from start to finish, leaving them looking and feeling wonderful. But they face stiff competition a short walk away, from Clickity’s Hair Design, which for 26 years has made clients’ hair look fabulous. And nearby Lara Lotto, Cards & Gifts is more than just a lotto retailer. The shop also sells candles, soaps, figurines and other gifts for that someone special.